Bad Bunny looks pretty cute. Big innocent eyes. Round rosy cheeks. A super-fluffy cottontail. But don’t be fooled. He’s Mischief with a capital M! 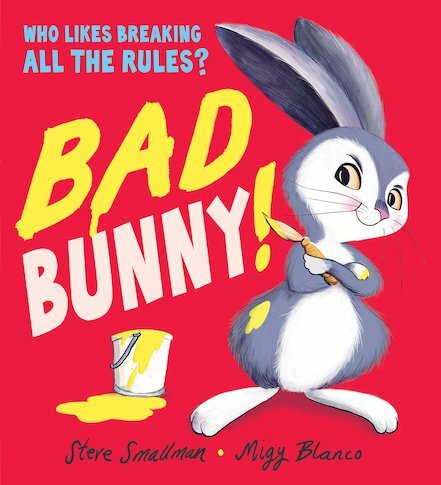 Bad Bunny reckons rules are for breaking and pranks are for playing. Worst of all, he always gets away with his cheeky tricks! (Want him to say sorry? Don’t hold your breath!) But on a day of especially naughty naughtiness, Bad Bunny finally meets his match. Now what?